1. Thinly slice your kale. Combine with lime juice, toasted sesame oil, agave, garlic, ginger and salt. Massage until wilted, approximately 3 minutes or more. 2. 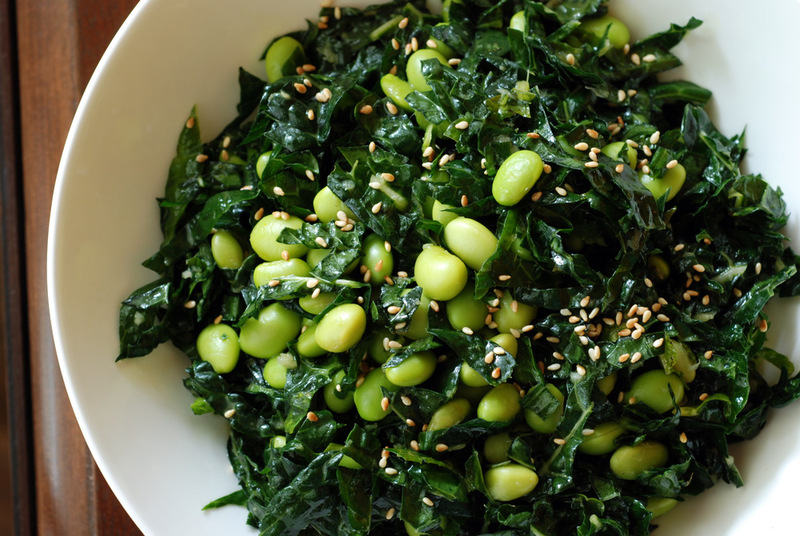 Combine kale with thawed edamame and sprinkle with sesame seeds. Any excuse to use kale in a recipe is fine by me. Yummy. I grew up eating TONS of garlic, and I happen to love the way it smells. I think it’s a comfort food thing for me. Massaged kale has really become my new favorite thing…definitely can’t wait to try this recipe! Oh yes please; I want some of this! 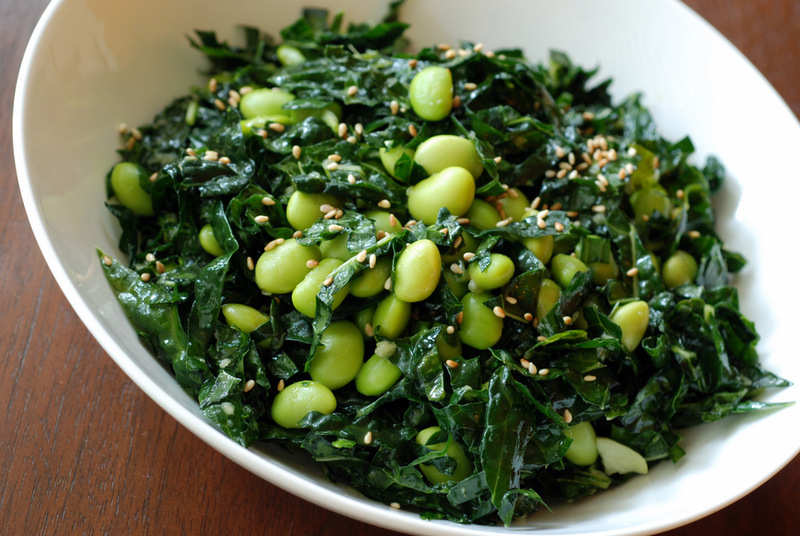 So many exceptional kale recipes lately!! Love it. Woohoo! Something in this #citruslove bloghop that I can totally enjoy! This looks amazing, and super fresh. I’ll have to bookmark it for later! Wow…I’m always looking for recipes to use kale and this one sounds fabulous!! I love the vibrant color!! Had to ask google what kale and edamame was. Perhaps the bean can be difficult to find here but kale or cabbage not. Must try this, I love the idea of raw cabbage. Thanks for sharing with WHB Janet. 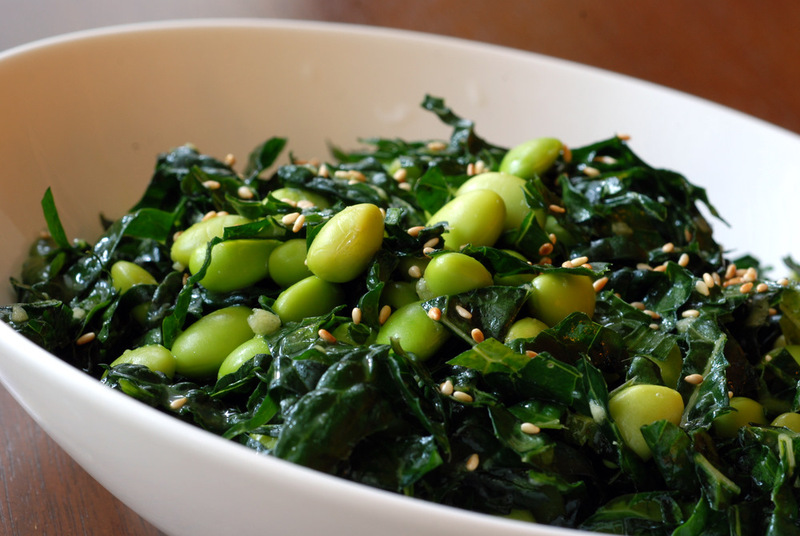 Oo love that you added edamame to this salad! Great idea. I love garlic and always add extra to my recipes but found that Tess’s recipe used way too much raw garlic for me. Thanks for linking up again, I love this recipe and you are a firm favourite over here in the UK! Made this for dinner last night with an orange ginger salmon – it was superb. Thanks for posting this! Looks fresh and healthy. Will definitely try this. This sweet/sour lime dressing was good. Thanks for sharing this recipe.